You are here: Home / News / News / Toy Soldier of the Week: Sgt. Dutch!! Toy Soldier of the Week: Sgt. Dutch!! This week’s Toy Soldier of the Week is: our very own Sgt. Dutch Barracuda!! 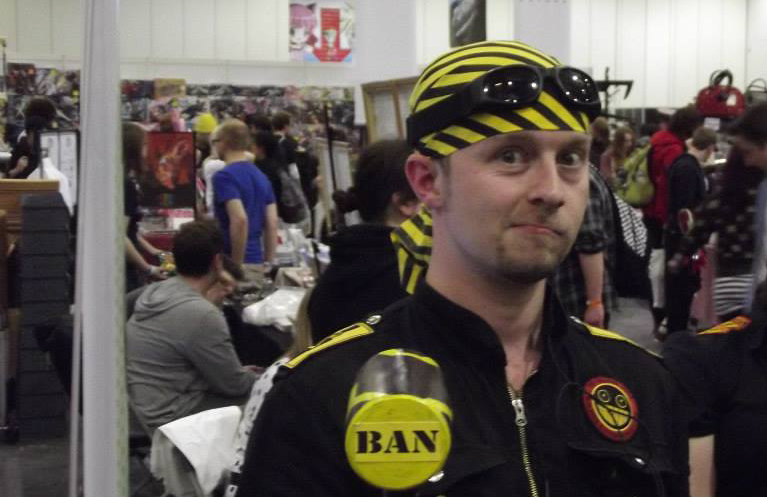 He has yet again put a ton of time and energy into the very successful London MCM Expo! Dutch spends a lot of time throughout the year gathering resources, communicating with event planners and printing prop for the Expo which occurs twice a year. He makes sure the table has a great display and offers many of our toy soldier items and prop which he transports/lugs to the event himself! This event has become a great tradition amongst UK/Euro soldiers for many years now! We would like to give a big Thank You and *salute* to you Seargent Dutch for continuing to support this event and and Toy Soldiers Unite!! *Salutes* Sgt, Dutch……you are awesome. :-) Great Job!